You know that moment of absolute lust you get when seeing the perfect piece of jewelry? Yup, it happened. My stylish boss walked into the office with this killer boho necklace – a chunky leather strap (which had her initial embossed on one side) escalated down to these gorgeous stones and ending with a perfectly plump, oversize tassel. Ugh, I moaned. I want. In the midst of The Every Girl’s 30-day-Wear-Your-Wardrobe challenge, I had sworn myself to not buy any new clothes or accessories for a month… not that I could afford the necklace anyway. Being the smartalic that I am, I knew I could find a loop hole. For those who can’t afford, make. And for those who can’t buy clothes, buy art supplies. Nailed it. 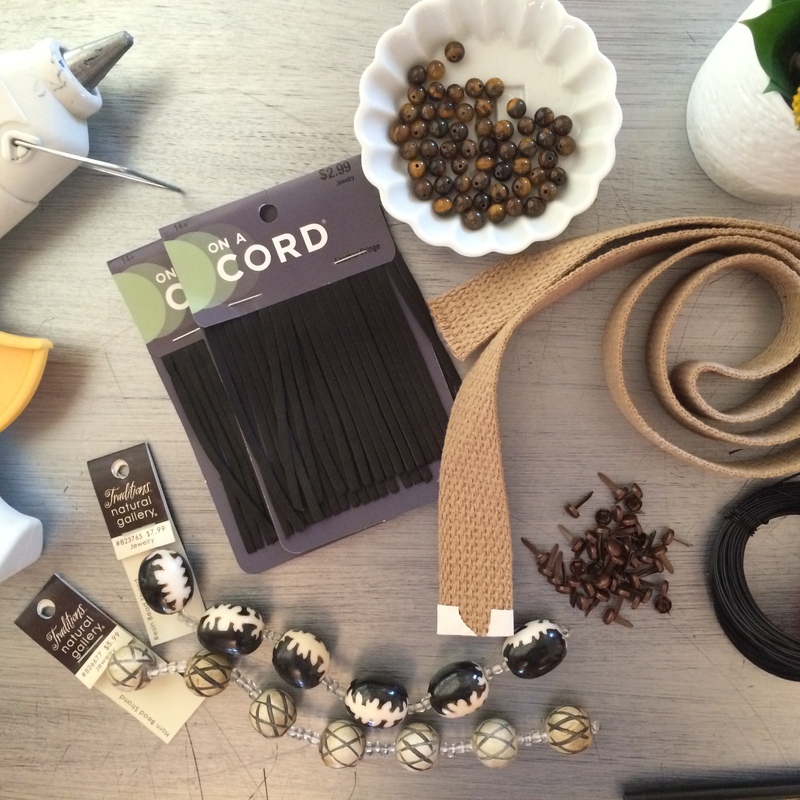 Depending on your beads, $25 should get you all the supplies you need to make this necklace. A yard of 1″ thick leather, belt strapping, or ribbon of your choosing. You want to think durability here. Craft wire. Be intentional with color. Beads of your choosing. 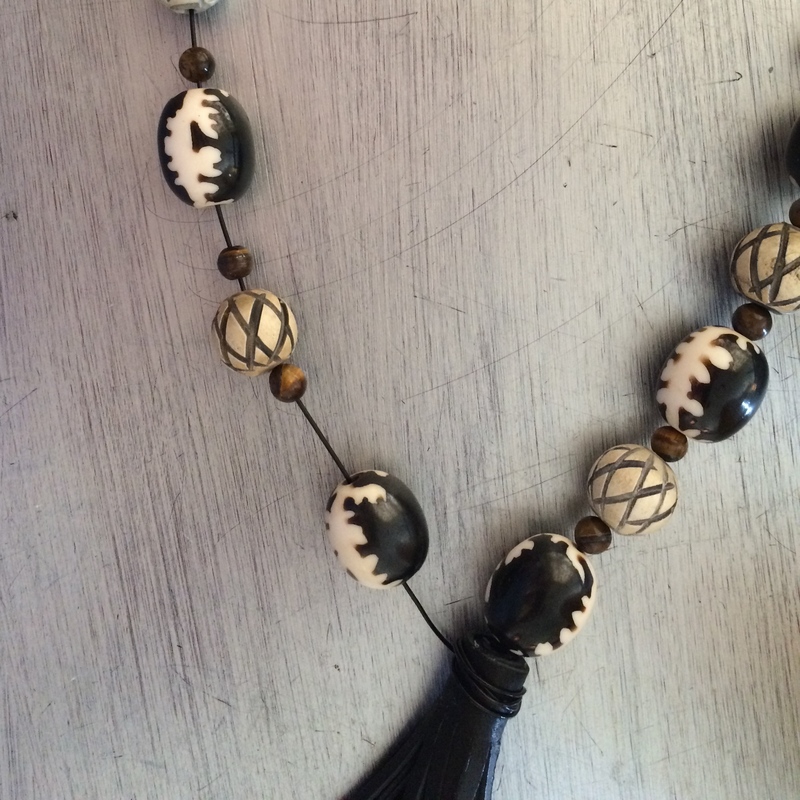 I went for a tribal look, but stones or agates will work too! I spent a total of $21 at Hobby Lobby. 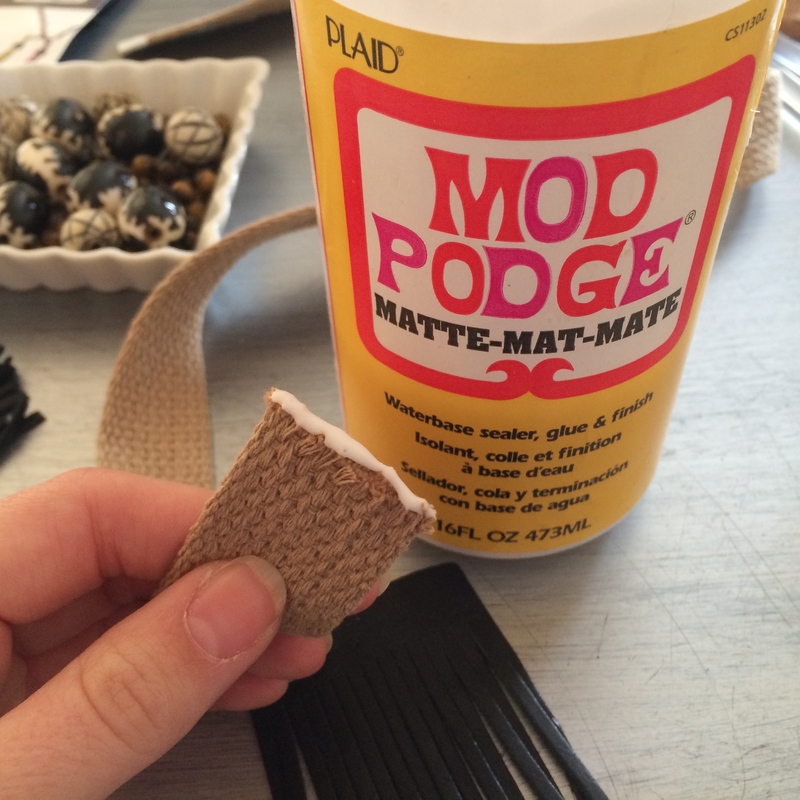 Secure your strap: use Mod Podge to seal the ends of your strap to avoid fraying. Once dry, fold about an inch of the strap over to make a loop and push your brads through the two layers. Separate the ends of the brads to secure the loop. I used small, antique copper brads so I used three on each side. If you have larger, more decorative brads, you can use less. Tip: fold over your wire end to avoid getting caught in your strap. Cut 4-feet of wire. Start by folding over the tip of your wire. This will avoid it getting caught in your strap material. Next, push about 18 inches of wire through the strap loop. 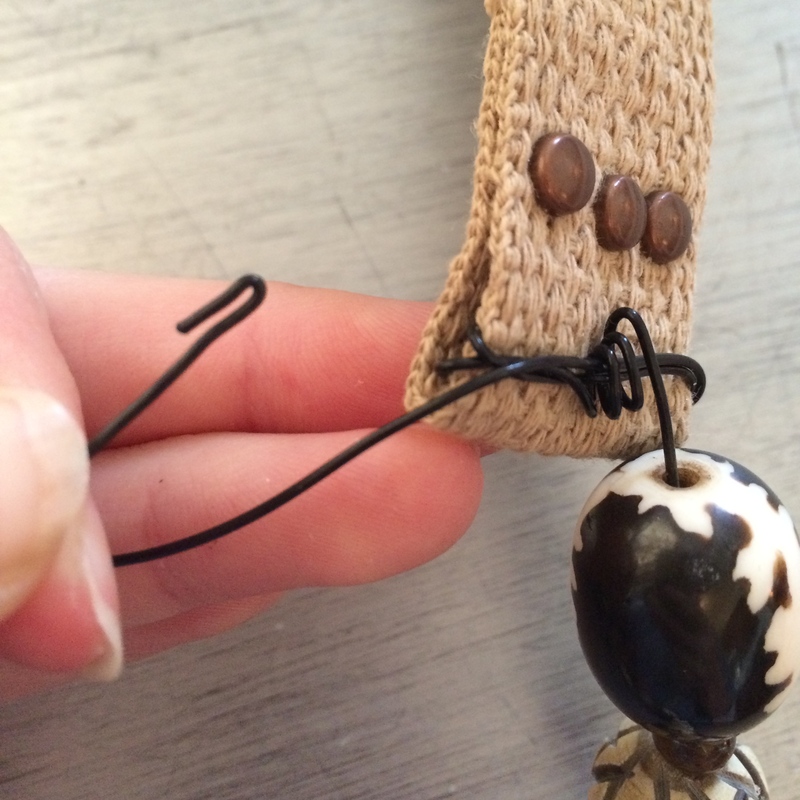 Wrap the wire through your strap loop repeatedly so you get a layered look. Secure the loose (bent) end of your wire by twisting it around your newly created wrap. String the first side of beads. 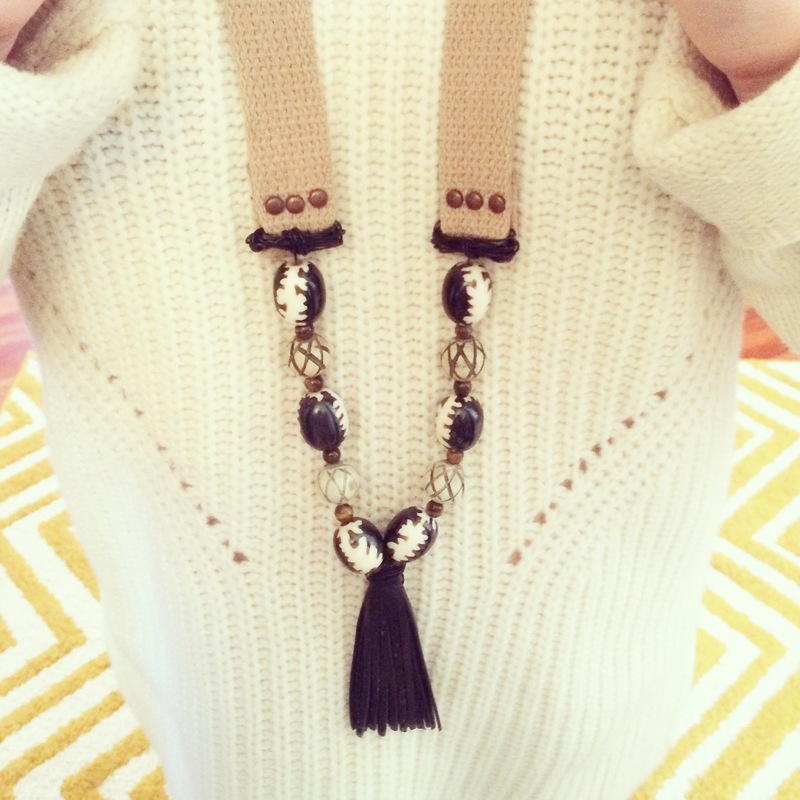 Create your tassel. Simply apply glue to the top of your fringe and roll like a sleeping bag. 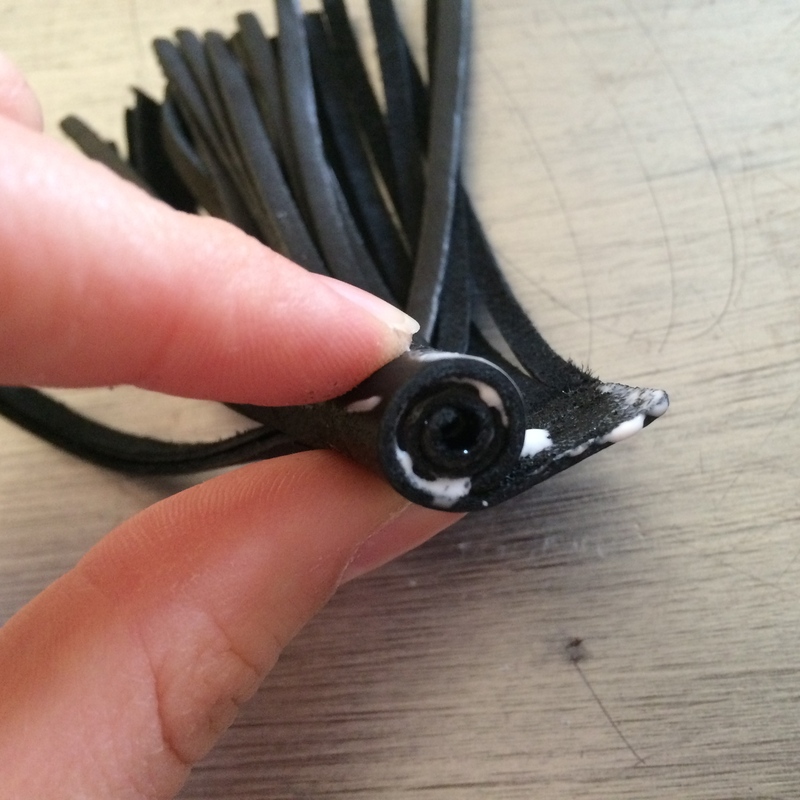 Once your glue is dry, string your wire through the center hole, starting from the bottom and through to the top. Then, wrap the tassel’s top base for security (same as step one). Once you have a wrapped look you like, string your wire through the center hole again, starting from the bottom and through to the top. 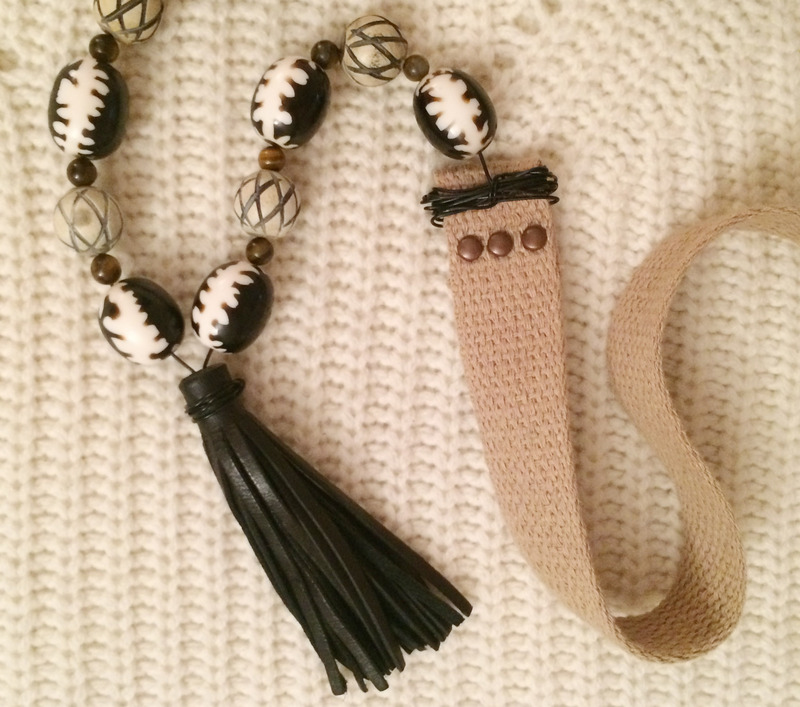 You should have a tassel that sits happily between the two sides of your necklace. String your beads on side two. Repeat step one to secure the other side of your necklace. Share your version on Instagram (@blancblog) or in the comment section below! Go rock your designer look-alike necklace. Share your version on Facebook and Instagram and tag me, @blancblog! Love this diy, I think the great beads are what make it so cute! Thank you! They were such a steal at 40% off Hobby Lobby!